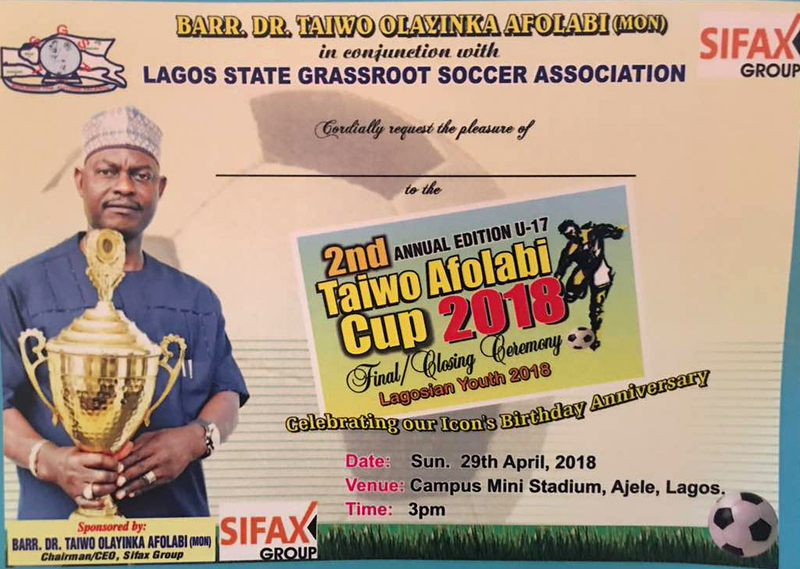 Dr. Taiwo Afolabi, a Nigerian Maritime Sector vibrant player, who miles ahead of others in his precinct of business endeavour, will mark his birthday in grand style at Campus Mini Stadium, Ajele, Lagos Island today, as teams of the Lagos Grassroots Soccer Association is set to honor him. 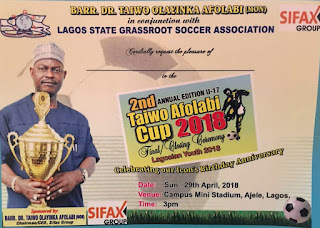 Dr. Taiwo Afolabi, who will be a year older is one of the Patrons of the grassroots soccer association in Lagos state. 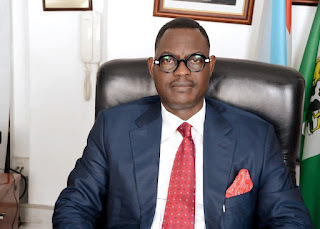 The highly creative, cerebral and hardworking Chairman/Chief Executive Officer, SIFAX Group, a multinational conglomerate has decided to make this soccer Competition a yearly event. Attributes that stands his company out of other shipping lines in Nigeria and Africa is the rare commitment of the firm to meet clients’ demands effectively, efficiently timely. After all we all know that punctuality is the soul of business. Dr. Afolabi, who has identified grassroots soccer tourney as one of his veritable platforms to give back to the society was similarly honoured last year when same grassroots footballers gathered at the same venue to pay homage to a formidable soccer patron, whose integrity and forthright approach to life and business is reportedly legendary.